“Jahriffe”Barriffe Mackenzie born July 6, a Reggae musician healing through music, expressing freedom, spiritual awakening, and love for all. Jahriffe founder of Roots Reggae band, JAH-N-I Roots Band release their first album “Rastafari Love” in 2005. A ten song album of a journey and purpose which received national & international audience attention. Jahriffe, lead vocal of JAH-N-I Roots Band began opening for great reggae musicians like Kymani Marley, Anthony B, Mighty Diamonds, Midnite, while also winning 2007 Urban Music Award. By 2013 still holding strong to the inspiration births forth a second JAH-N-I Roots Band release “Check Your Timing” an album of persistence and love for creating music with reason. Receiving great welcoming to the album from the listeners songs like Empress, You Remind Me, and Bless The Seed becoming fans favorites. Alongside a 2014 performance opening for Chronixx was good promo for the release. In 2015 changes start to take place for the long standing Roots Reggae Band. Inspired for a new direction Jahriffe brings himself to the fore front as Jahriffe & JAH-N-I Roots Movement. The evolution created more vision for the task felt in the soul of Jahriffe. He becomes the voice and face of a music that defines an experience of humanity’s higher self. This metamorphoses opened up the platform to guest speaking at Mobile Alabama University which led to many lectures in the US, and closing 2015 with an energetic performance supporting Kabaka Pyramid & Iba Mahr. Jahriffe takes it straight to the roots with a single giving veneration to his spiritual foundation of The Rastafari Movement.“Rasta Can’t Fade” single released October of 2016 awaken the souls of the people accompanied with a music video receiving more than 100 thousand YouTube views and currently growing. Gaining more support from fans, “Love is One” wins best video of the year 2016 Garrison Award. Keeping a steady flow, Jahriffe was awarded from the Mayor of Boston for he’s musical contribution during his live performance featured in the sold out 2016 African Fashion Week Boston. Jahriffe welcomes 2017 with a theatrical role as, Bob Marley in the play “ Its about Time” located at the historical Strand Theatre in Boston. His desire to be apart of the change for truth, rights, love and equality for all using Reggae Music as a vehicle to send the message, is alive and well within his community and beyond. Jahriffe delivers a hopeful, compassionate, fearless, inspired performance that re-awakens the JAH-N-I Roots Movement in the mind, body, and souls of he’s audience. The success of the movement continues to grow and develop a wanted experience by many. Jahriffe stands in the place with other humanitarian of the world, feeding the inspired with more inspiration.El GrandeAttitude fueled by rock and roll and punk ethics gives life to El Grande‘s original brand of ska. A fixture in the talented Portland, Maine music scene, El Grande has been playing shows throughout the Northeast for the past decade, winning over ska purists and skeptics of the punk scene. The group delivers high energy concerts and tight songs in their live performances, always proving to be memorable and unpredictable.Combining muscular vocals and lyrics that touch on personal triumph, relationships and social messages that speak to everyday people, El Grande’s songs range from fast, upbeat soul shouting ska to crooning rocksteady and lovers rock reggae. The band’s diverse sound combines early two-tone rhythms and third-wave ska to produce a big sound and prominent horn section melodies.With major ska influences including The Slackers, The Aggrolites and The Pietasters, El Grande also reaches into the rock and roll breed with echoes of The Rolling Stones, J. Geils Band and The Clash.In 2007, El Grande released their debut album, Crosstown Rivals, featuring six original tunes. 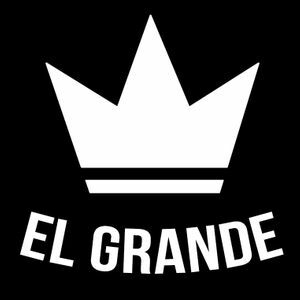 In early 2016, El Grande released their all-original EP, Bayside Story.